ASM is an all purpose Java bytecode manipulation and analysis framework. It can be used to modify existing classes or dynamically generate classes, directly in binary form. Provided common transformations and analysis algorithms allow to easily assemble custom complex transformations and code analysis tools. If you are using Eclipse, there is a great ASM plugin that will aid your learning. It displays existing Java code as the actual ASM calls needed to instrument said code. It is quite usefully for learning as you can see the ASM calls needed to implement specific Java code. Javassist (Java Programming Assistant) makes Java bytecode manipulation simple. It is a class library for editing bytecodes in Java; it enables Java programs to define a new class at runtime and to modify a class file when the JVM loads it. Unlike other similar bytecode editors, Javassist provides two levels of API: source level and bytecode level. If the users use the source-level API, they can edit a class file without knowledge of the specifications of the Java bytecode. The whole API is designed with only the vocabulary of the Java language. You can even specify inserted bytecode in the form of source text; Javassist compiles it on the fly. On the other hand, the bytecode-level API allows the users to directly edit a class file as other editors. Aspect Oriented Programming: Javassist can be a good tool for adding new methods into a class and for inserting before/after/around advice at the both caller and callee sides. Reflection: One of applications of Javassist is runtime reflection; Javassist enables Java programs to use a metaobject that controls method calls on base-level objects. No specialized compiler or virtual machine are needed. You can have quick look at Javaassist tutorial to get started. In order to use Byte Buddy, one does not require an understanding of Java byte code or the class file format. In contrast, Byte Buddy's API aims for code that is concise and easy to understand for everybody. Nevertheless, Byte Buddy remains fully customizable down to the possibility of defining custom byte code. Furthermore, the API was designed to be as non-intrusive as possible and as a result, Byte Buddy does not leave any trace in the classes that were created by it. For this reason, the generated classes can exist without requiring Byte Buddy on the class path. 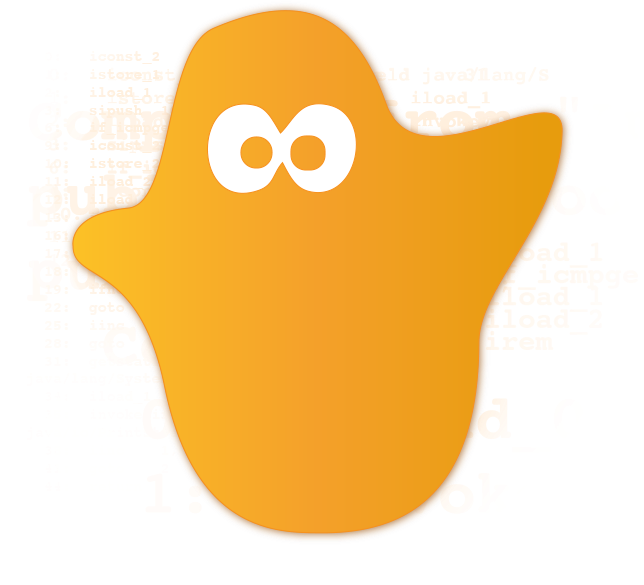 Because of this feature, Byte Buddy's mascot was chosen to be a ghost. Byte Buddy is written in Java 6 but supports the generation of classes for any Java version. Byte Buddy is a light-weight library and only depends on the visitor API of the Java byte code parser library ASM which does itself not require any further dependencies. At first sight, runtime code generation can appear to be some sort of black magic that should be avoided and only few developers write applications that explicitly generate code during their runtime. However, this picture changes when creating libraries that need to interact with arbitrary code and unknown type hierarchies. In this context, a library implementer must often choose between either requiring a user to implement library-proprietary interfaces or to generate code at runtime when the user's type hierarchy becomes first known to the library. Many known libraries such as for example Spring or Hibernate choose the latter approach which is popular among their users under the term of using Plain Old Java Objects. As a result, code generation has become an ubiquitous concept in the Java space. Byte Buddy is an attempt to innovate the runtime creation of Java types in order to provide a better tool set to those relying on such functionality. There exists an extensive documentation of all of Byte Buddy's features on the tutorial page. Furthermore, Byte Buddy's in-code documentation is available from its source code repositories and on this website. A list of blog articles and conference presentations on Byte Buddy is available on the project's wiki.